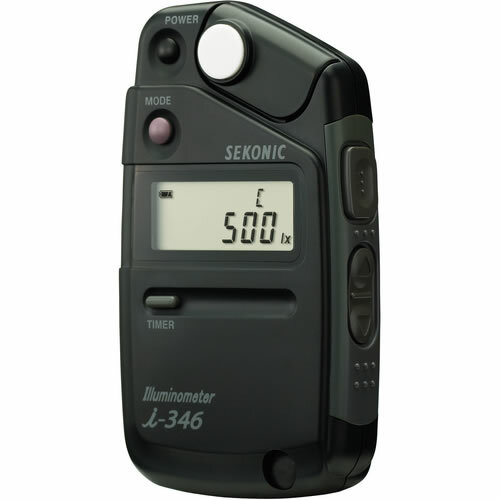 The Sekonic Illuminometer i-346 Light Meter is a small, lightweight, and easy-to-use analog meter for measuring light in lux or footcandles--it's an excellent choice for monitoring light levels in workplace and other environments. 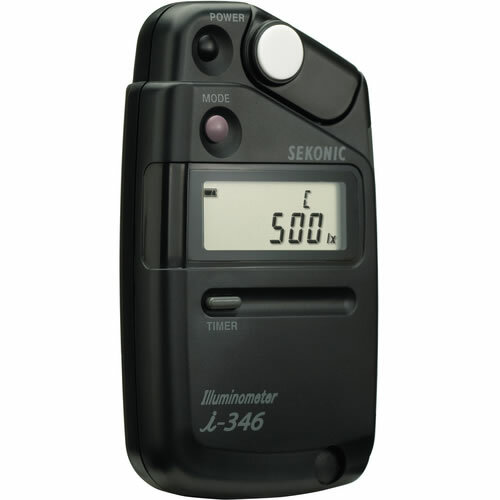 The i-346 can take reflected measurements in any one of three modes: single, continuous, or delayed up to 60 seconds (when reflections from the operator may affect the measurement). 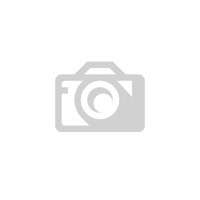 The results can be displayed in lux or footcandles on the large LCD display screen. 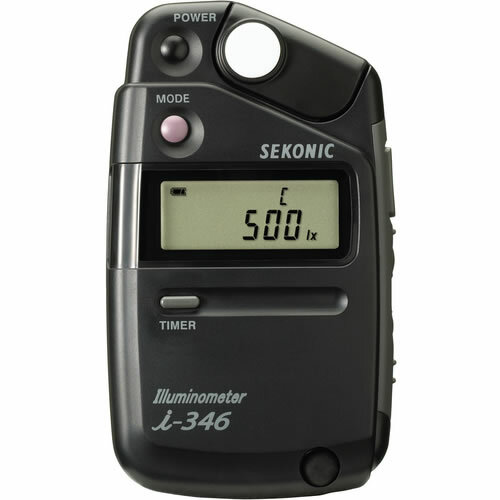 One AA battery powers the i-346 up to 20 hours. When not in use, it automatically switches off after 4 minutes. Not designed for photographic work. Applications include measuring for conformity to work-place illumination, health, and safety standards; checking display illumination; regulating light for best plant growth; controlling dramatic lighting for film, television and video production.